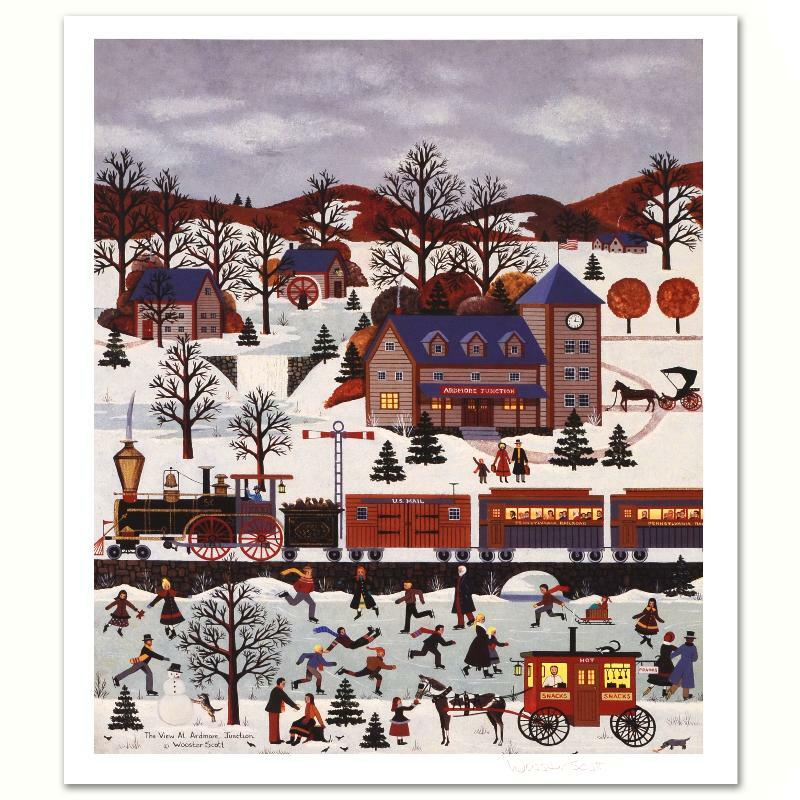 Jane Wooster Scott, "The View at Ardmore Junction" Ltd Ed Lithograph, Numbered and Hand Signed with Certificate. 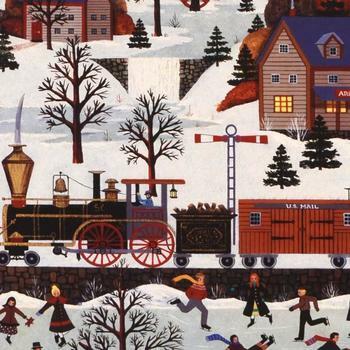 Considered among the finest painters of Americana, Jane Wooster Scott is renowned world-wide. Most of her art captures the 'small-town' experience of the United States and the American culture in which she was raised. Portraying this country life quaintly and artfully, her paintings enchant and charm viewers universally. Wooster Scott herself does the same just as well. A glamorous and energetic personality in her own right, the artist is at home with 'the Rich and Famous' who collect her art as well as the ordinary people who are the subjects of her artwork.